You’ll need more than an acre to qualify for the Vineyard Development and Expansion program. 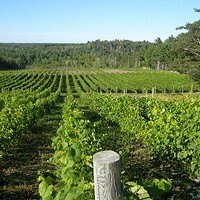 Wineries all over Atlantic Canada are celebrating last season's harvest. Grapes hung on the vine longer than usual during our warm fall, boosting sugar and mellowing acidity. 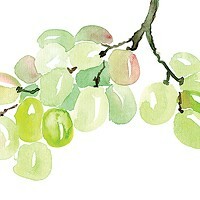 With little rain, their flavours and aromas concentrated, with less spoilage from moulds and mildews. After such a season, we should expect people to be excited about growing grapes in our region. 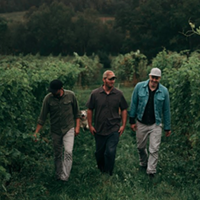 After all, farming is the genesis of a good bottle of wine and to sweeten the deal the Nova Scotia Department of Agriculture now offers a subsidy to farmers for putting more grapes in the ground. Conversations with experienced grape growers reveal, however, some disconnect in this story. A closer look at numbers in the context of Nova Scotia wine shows that we may not be doing our best to honour the terroir and those who work with it most closely. First, farmers are paid by the tonne. The lack of rain in 2017 that concentrated our grapes also meant plants produced less offspring. Yield was reduced. Disease was down, so not much was lost but overall, income-wise, 2017 was an average year for growers. With a few exceptions, wineries do not pay a premium for higher-quality grapes. The Department of Agriculture's Vineyard Development and Expansion Program offers up to $6,550 to cover the costs of each new acre of grapes planted, to a total investment by the province of $1 million which expires in 2019, and an additional $12 million announced in early 2016 for investment in specialty equipment and training, and to expand our industry's capacity for export. But before you quit your job, buy an acre of land and start pounding posts into the ground, you'll need to do a little math. Also, you'll need more than an acre to qualify for the government support, which requires you to have at least five acres of grapes already, or show your plan to plant five by 2019. Building a vineyard of that size is expensive, especially once you factor in all the equipment to establish and maintain it. Once you have five acres, you might as well have 20, which is the "sweet spot" for machinery, according to one grower. 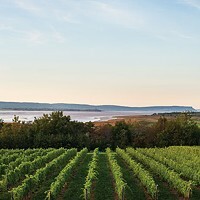 A 2014 Nova Scotia Department of Agriculture study, Nova Scotia Wine Grape Cost of Production and Cash Flow Analysis (which you can find on the expansion program's webpage) explicitly states that a five-acre vineyard is not financially feasible unless you have the support of an experienced grower who will run your vineyard in exchange for the harvest. It also explicitly states that a 10-acre vineyard only makes financial sense if you have a half-million or so in capital. According to the numbers, scale is everything. Some spreadsheet work shows, however, that the bleak financial outlook for a small-scale grower may be exaggerated, particularly if sweat equity is taken into account and if you already own land. You won't make money, but you may not be facing the staggering debt the study suggests. It is clear that the Vineyard Development and Expansion Program is designed to help subsidize the massive investments of wineries and large growers already looking to expand, and a few new growers with capital to start big. (A search of government databases shows the vast majority of the expansion program's grants in 2015-16 were awarded to the province's largest producers.) These businesses are important—they encourage government to invest in agriculture and they employ local people and help create destinations for visitors to our region. It is unclear, though, why the government program cuts out small growers. Small is the model upon which our industry is built. Small is where many of today's large producers began. There are reasons things started small. 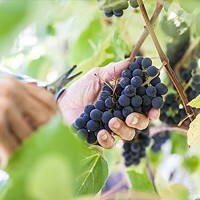 Small allows a grower to tend, observe and experiment with grapes sustainably. In an industry that is still just starting, we still need people to be paying close attention to plants and soil in small pockets of land over time. Small is not just nostalgic. Small is valuable. 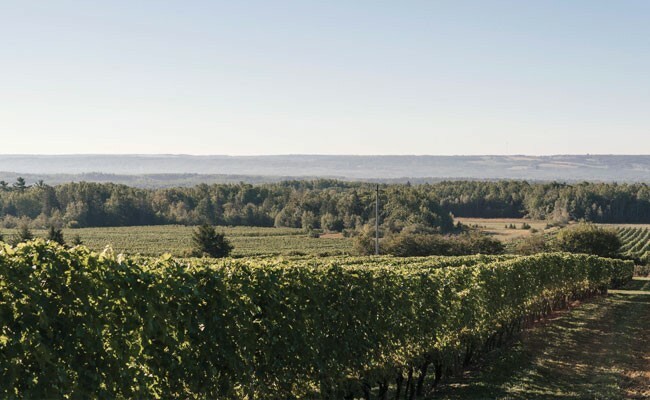 One of the goals of the expansion program is to meet the growing demand for Nova Scotia wine by more than doubling the province's acreage of grapes from roughly 800 acres when the program was announced to 1,000 acres by 2020. According to the Nova Scotia Liquor Corporation's annual report, sales of Nova Scotia wine are increasing by a little less than five percent annually. If this trend continues, by 2025, when all the new grapes are harvested, Nova Scotians will be buying 50 percent more local wine than they were in 2015, but we'll have double the amount of wine. This makes some growers nervous the market could be flooded by grapes planted too quickly with not enough attention to market data. Growing grapes is hard work. Like any kind of farming, it won't make you rich until you do it on a large scale. 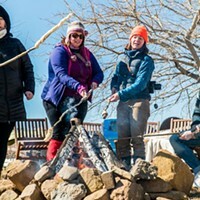 It is, however, extremely rewarding, offering connection to food and life, to self and circadian rhythms and to the earth. The growers I spoke with for this piece did so off the record. This is understandable, given the small community in which they work, but it is unsettling that they feel instability in the industry, and lack of consideration for their needs and experience. If we value our wine, we need to do a little better by those at ground zero.